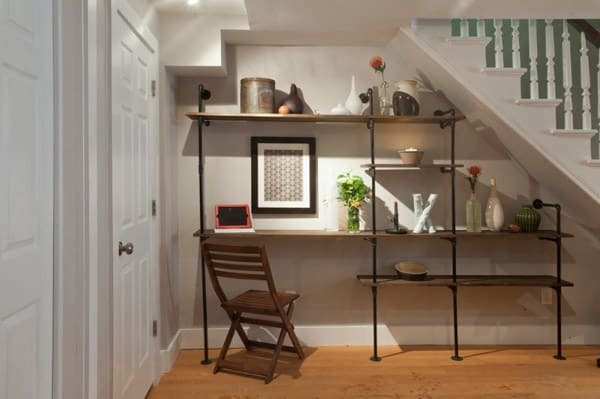 To maximize space in your home, utilizing under stairs storage space solutions can help to de-clutter and create functionality in an otherwise unused space. 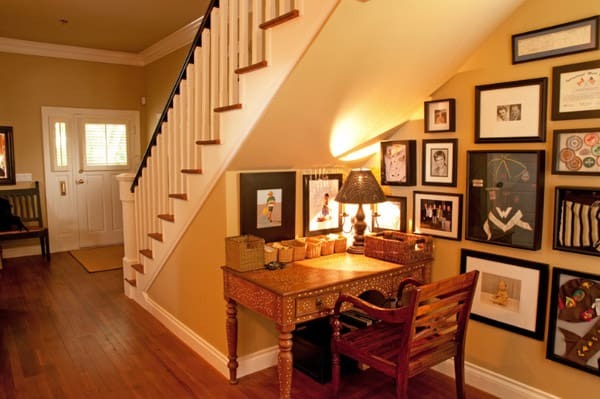 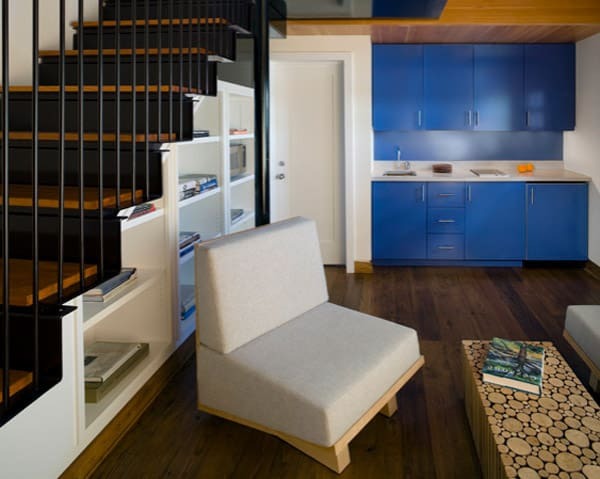 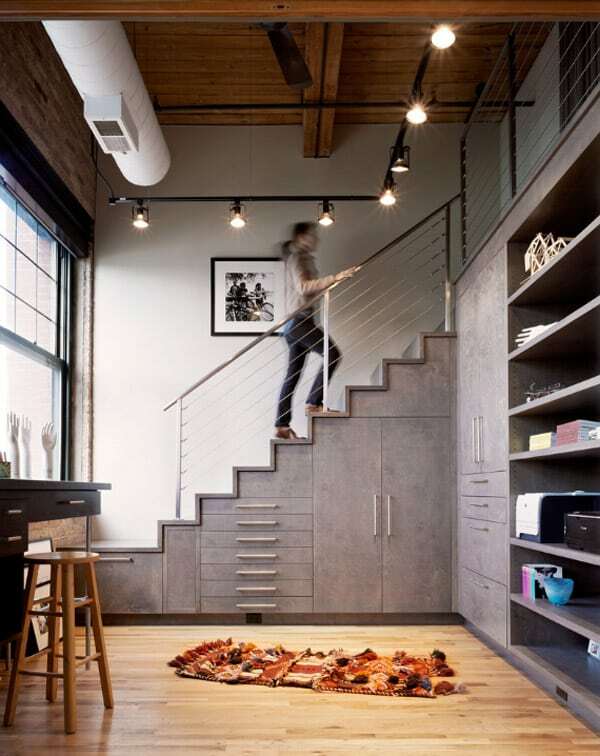 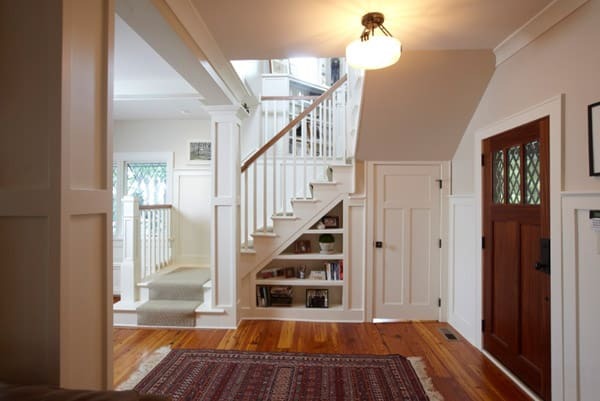 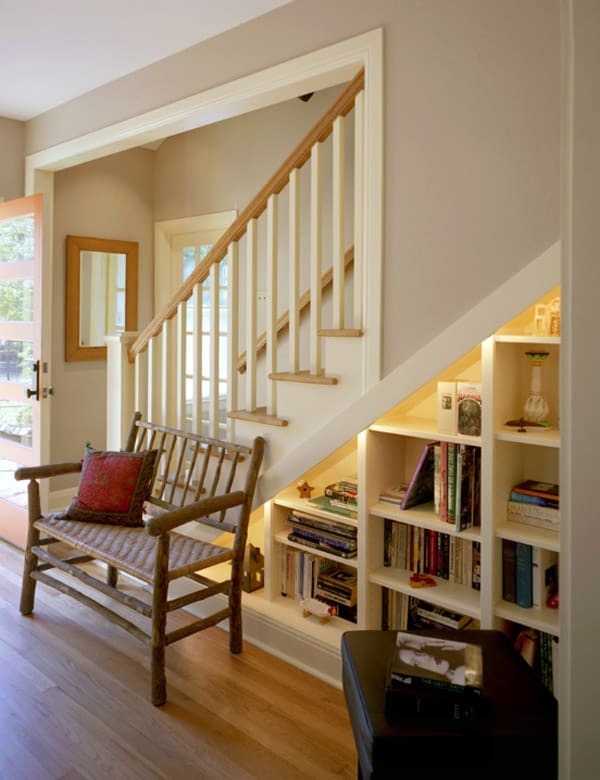 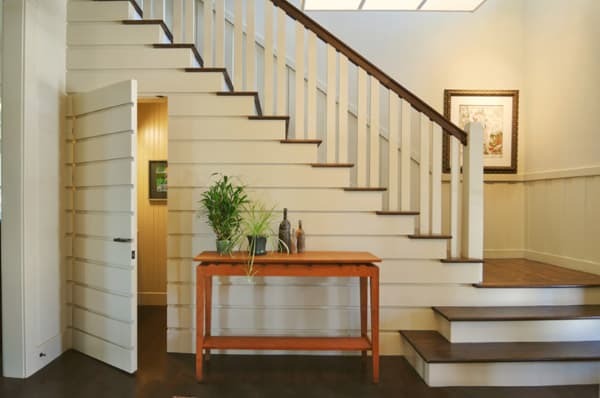 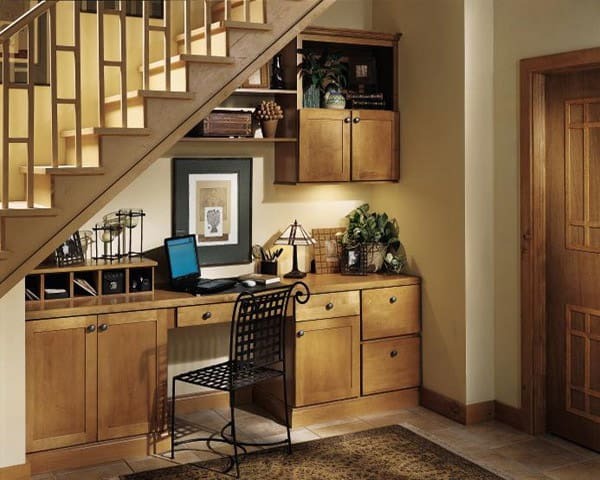 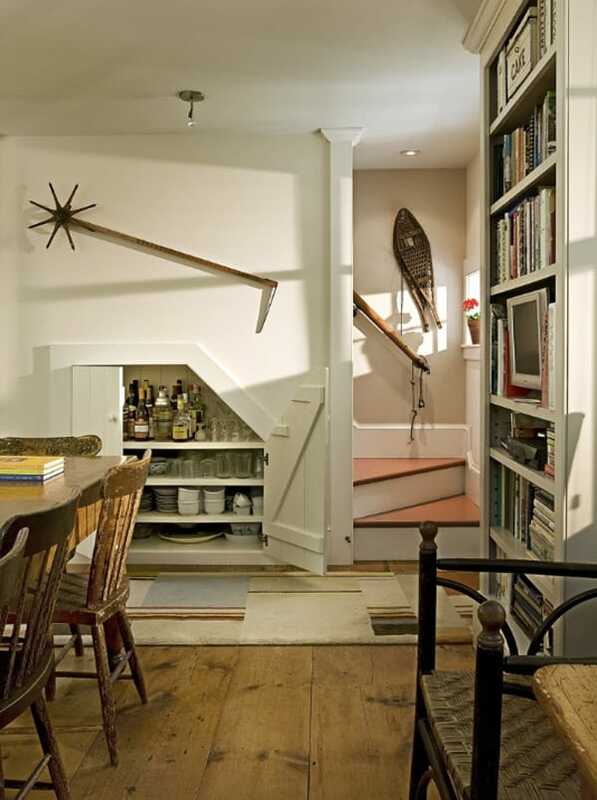 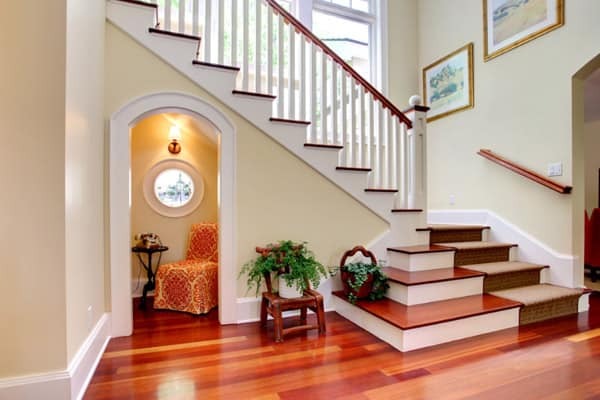 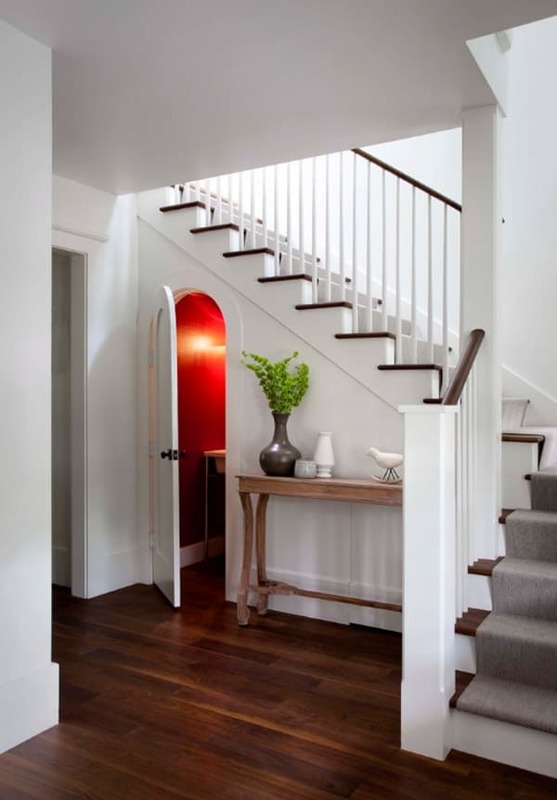 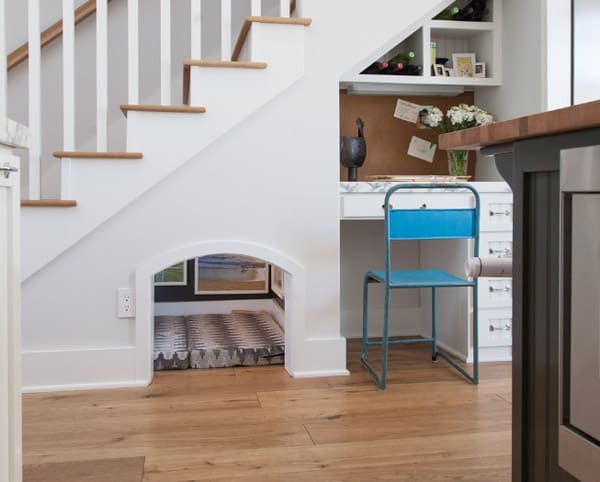 There are several ways that you can use the area underneath the stairs, from bookshelves to home offices to even bathrooms and laundry space. 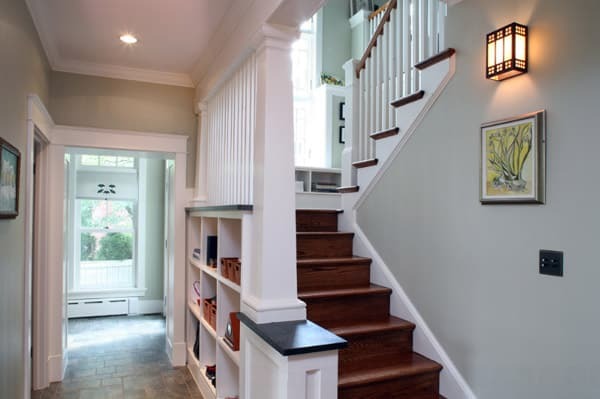 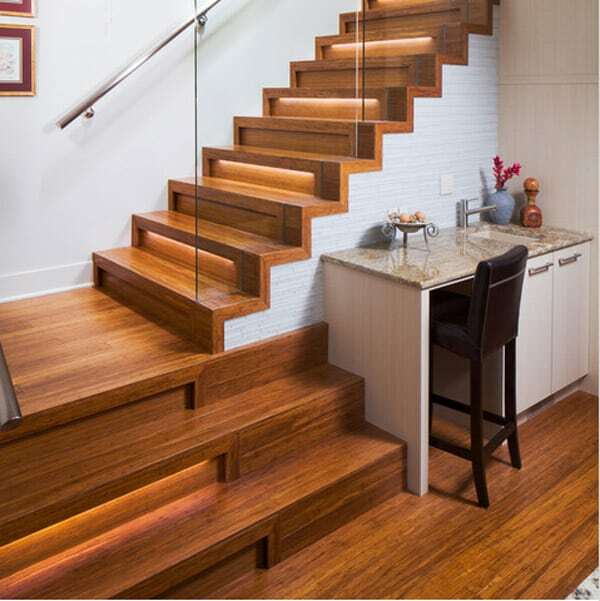 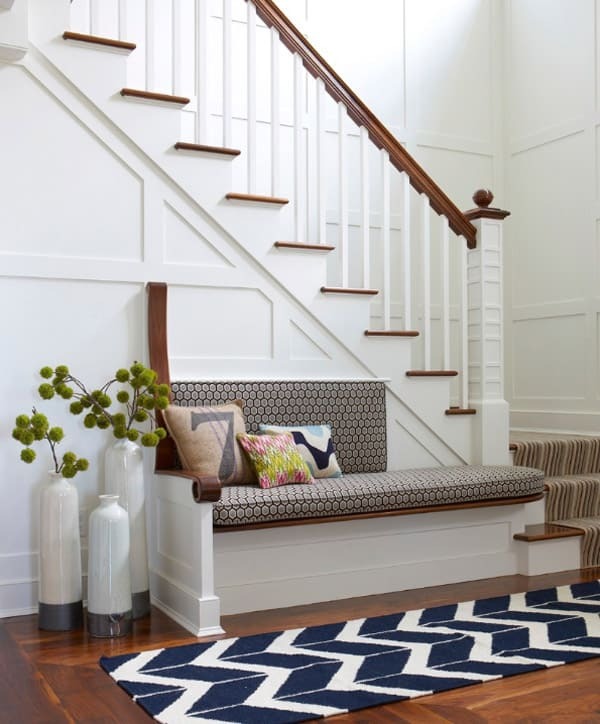 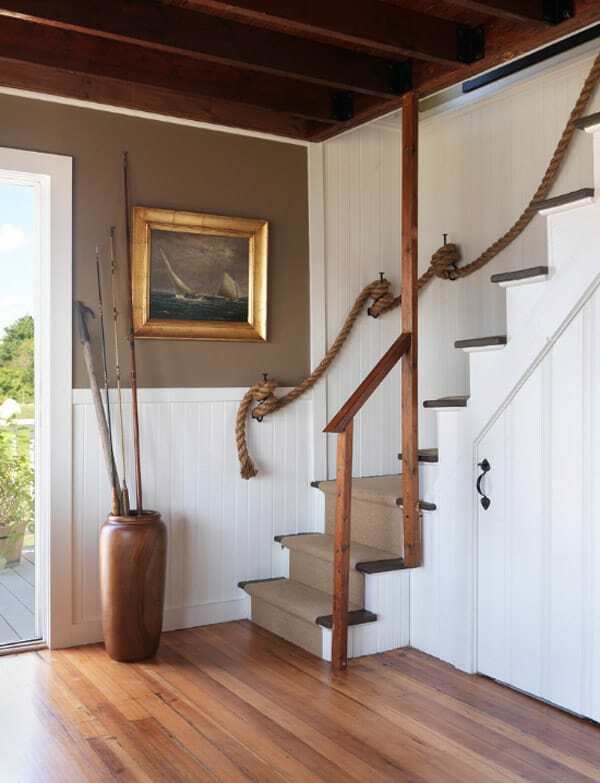 The sky is the limit to how you can utilize under stair space and we have collected numerous ideas to help give you some inspiration. 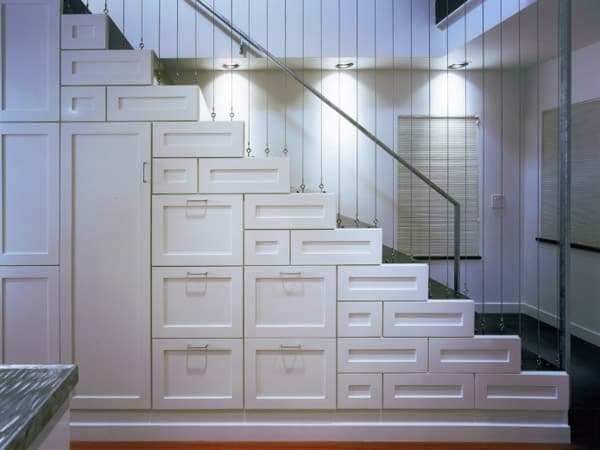 In the hallway, a logical choice might be to fit a wardrobe there. 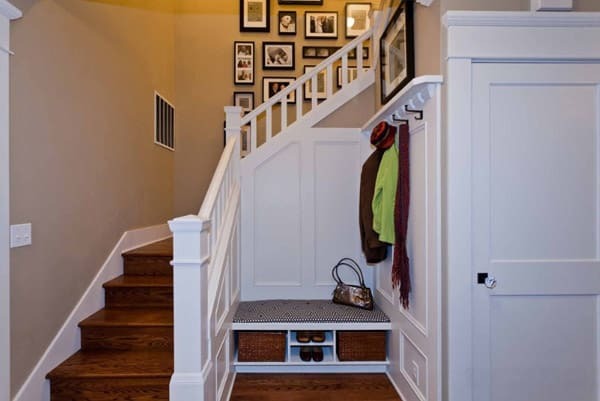 It would be perfect for seasonal clothing, footwear, hat, mitts and gloves. 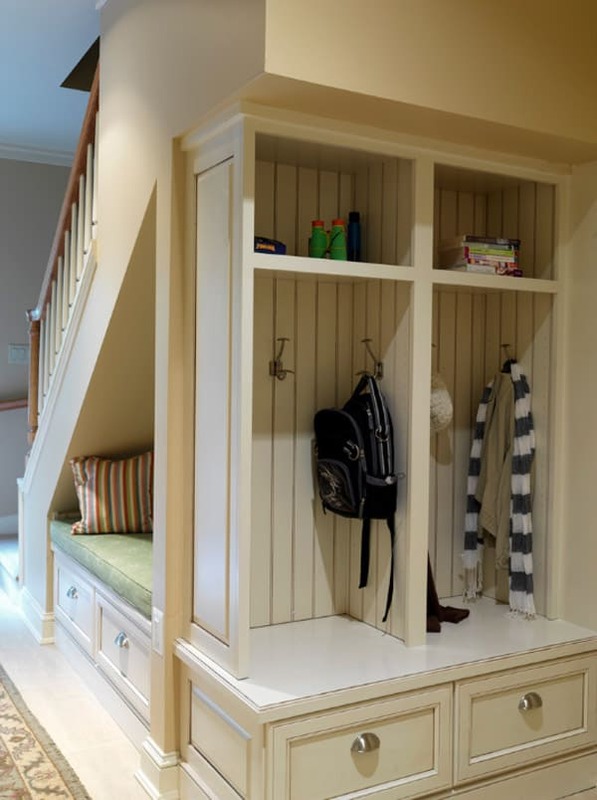 The wardrobe can have open shelves or cabinets with doors for a cleaner aesthetic. 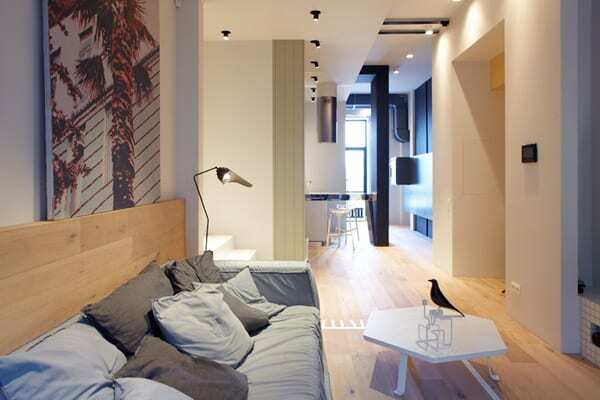 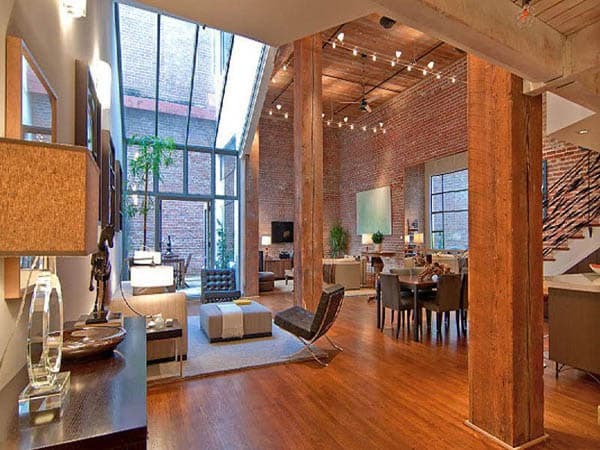 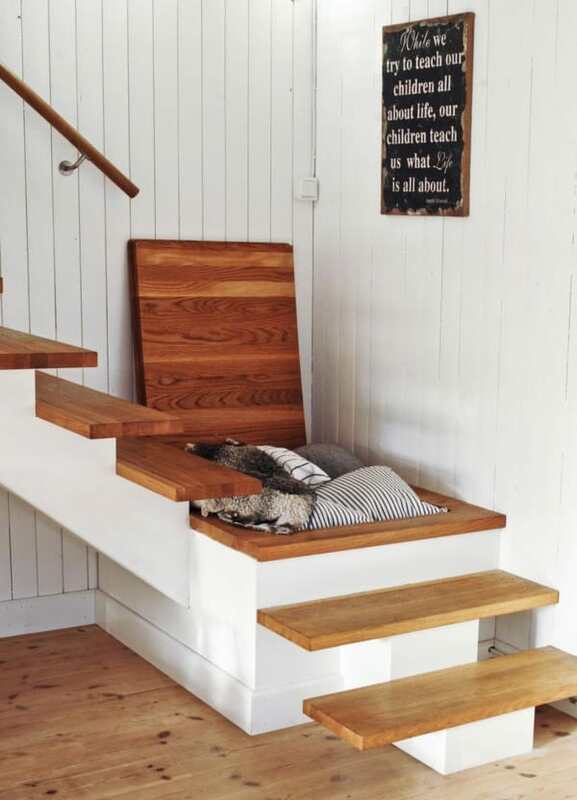 You could also put a compact bench or a chair with a small table there. 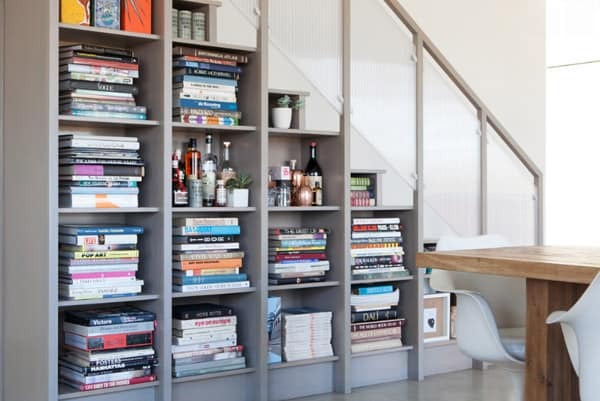 Have a lot of books and don’t know where to store them? 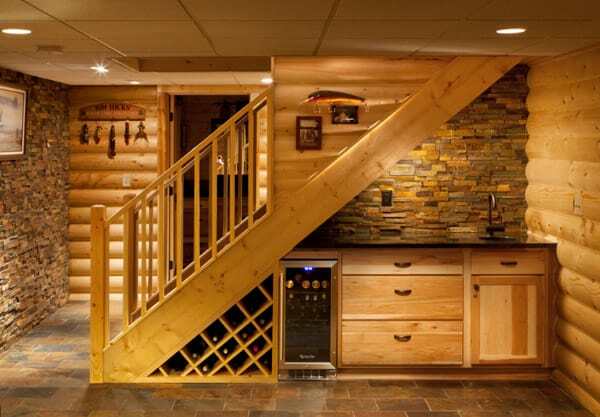 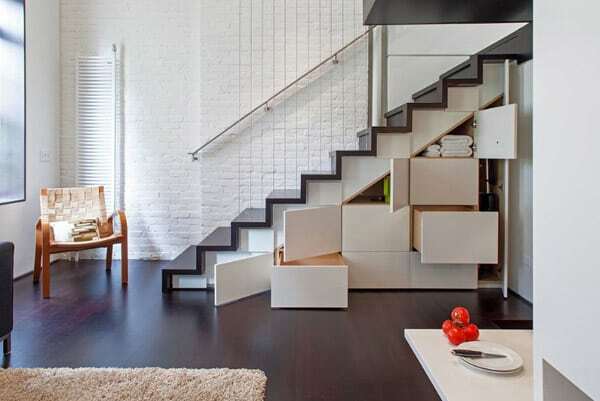 Your stairs are perfect place to put them in. 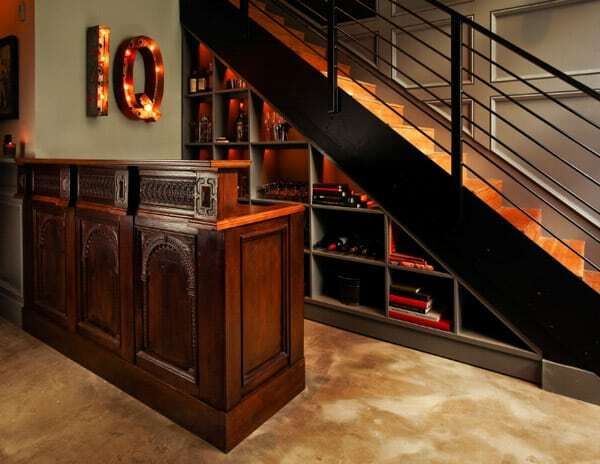 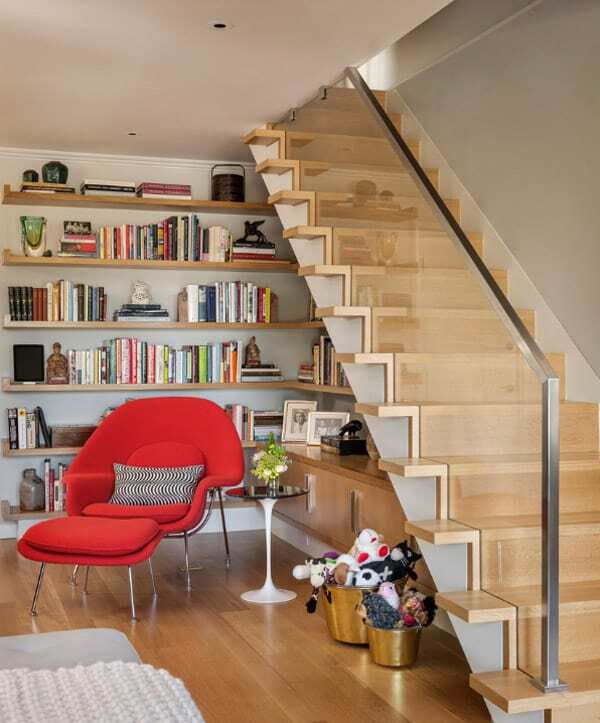 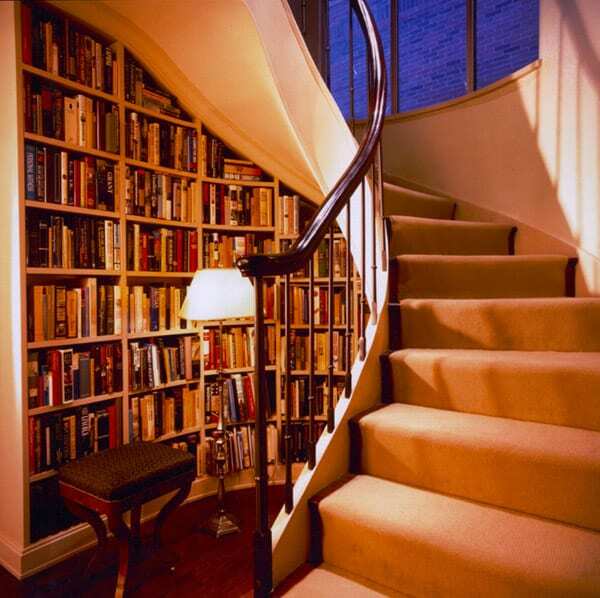 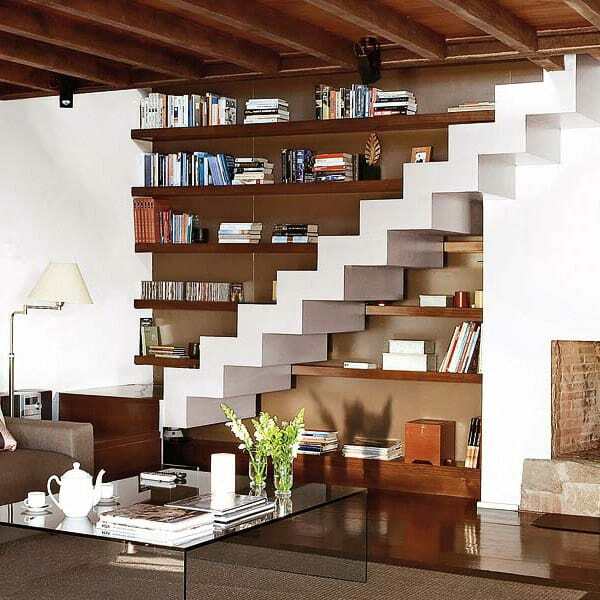 Staircases can look incredible on their own, but add a functional bookcase to create a unique statement piece. 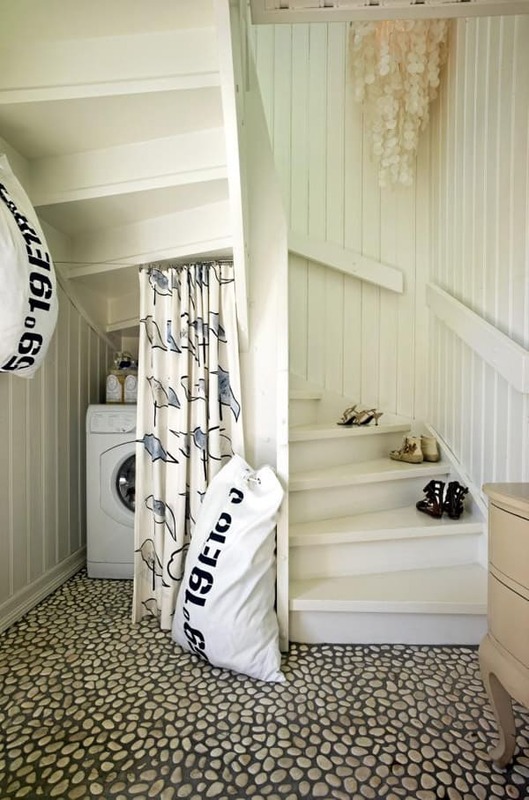 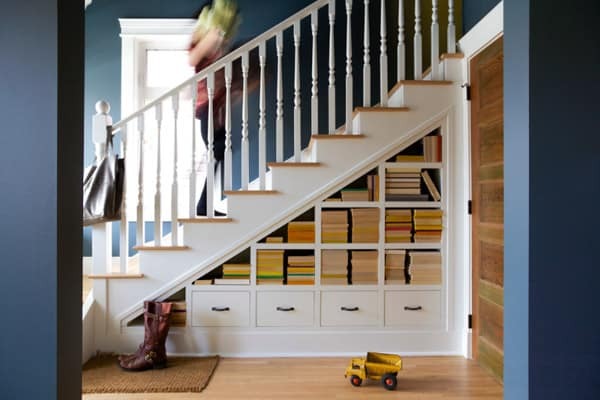 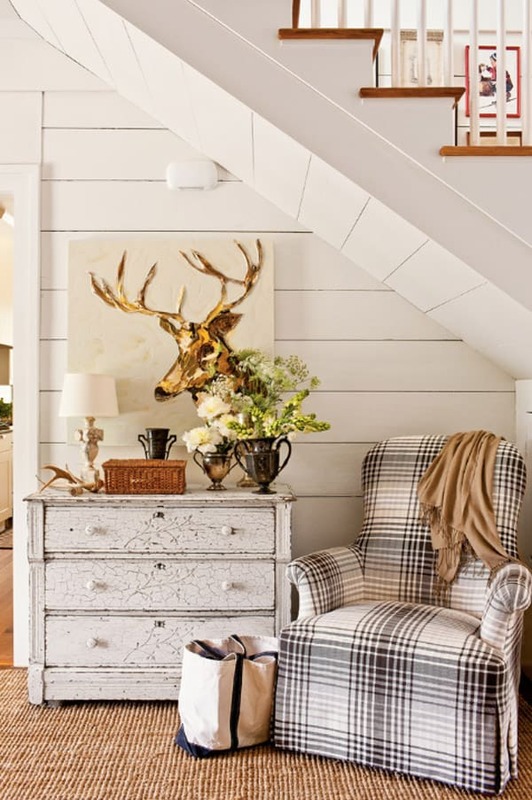 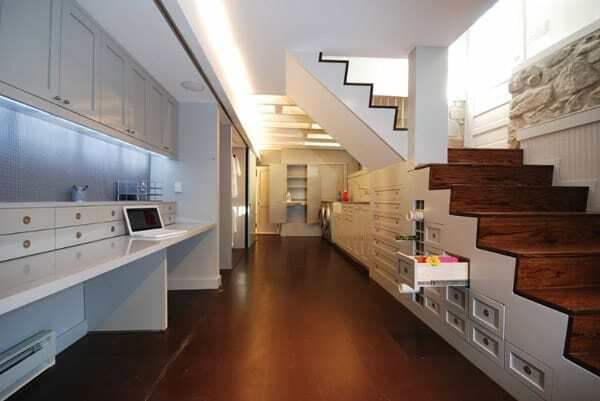 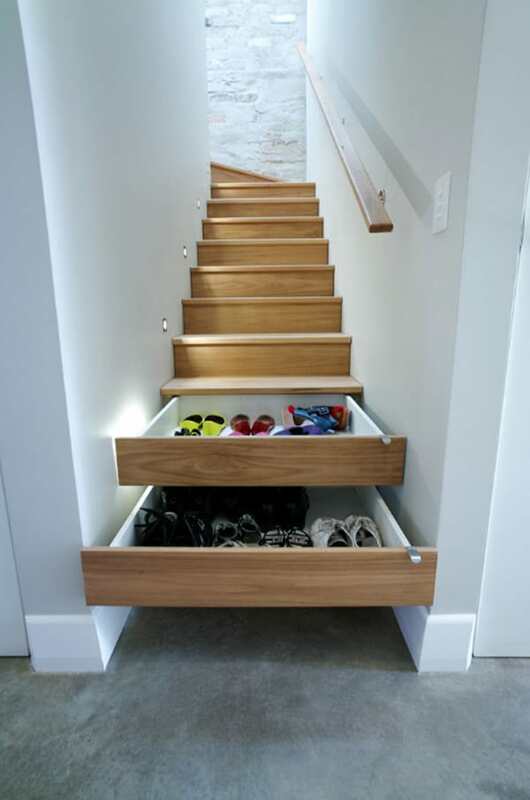 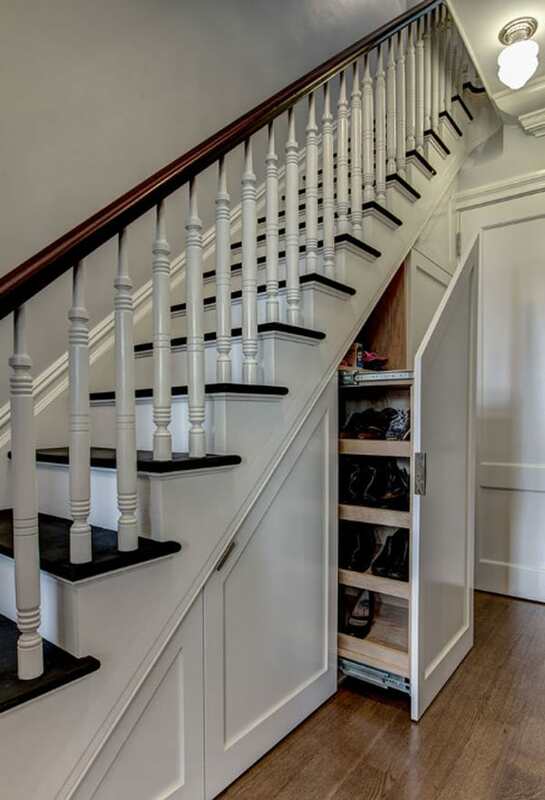 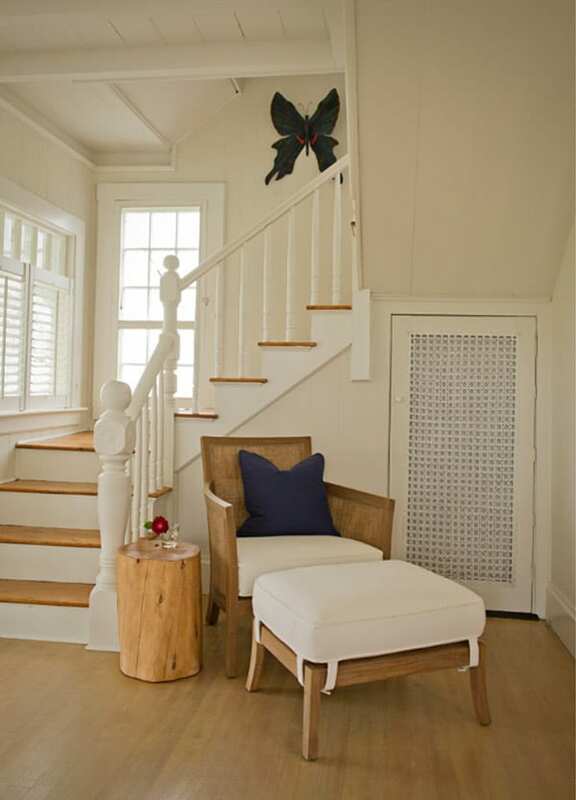 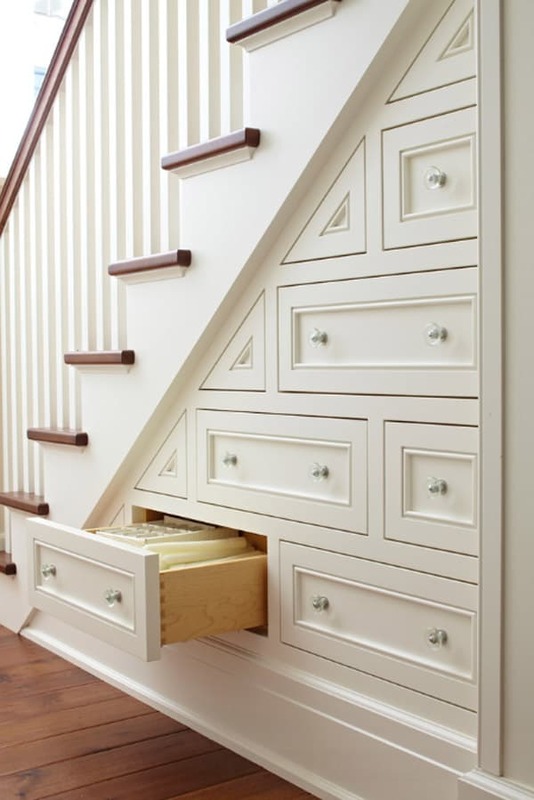 Use your staircase as drawers to store clutter or seasonal clothing. 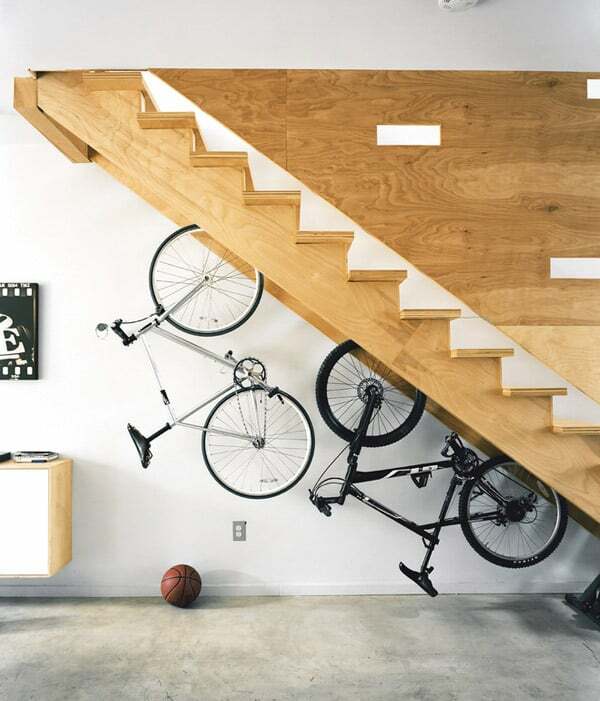 Even bicycles can be stored under the stairs! 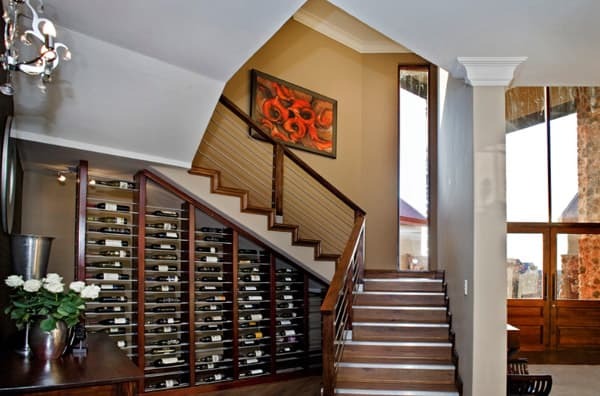 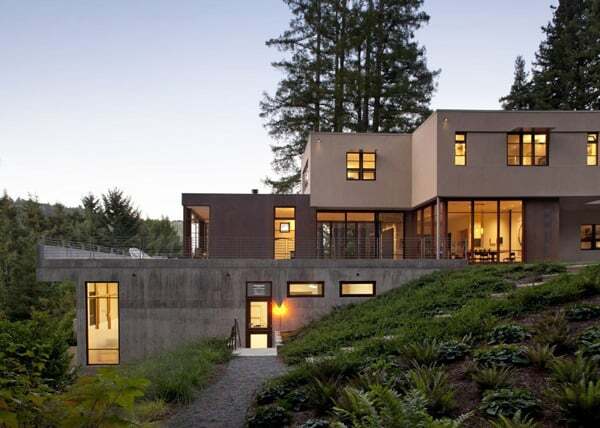 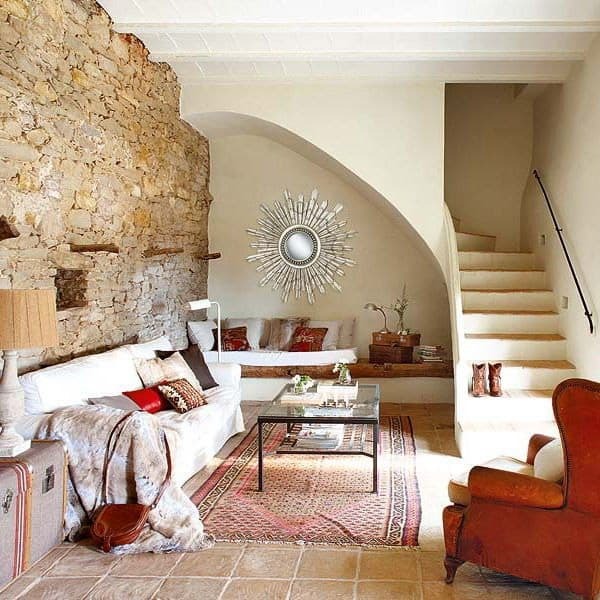 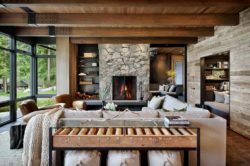 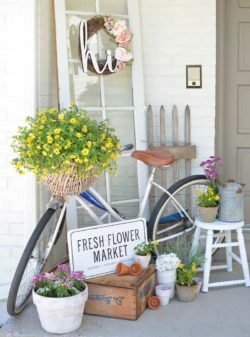 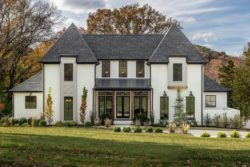 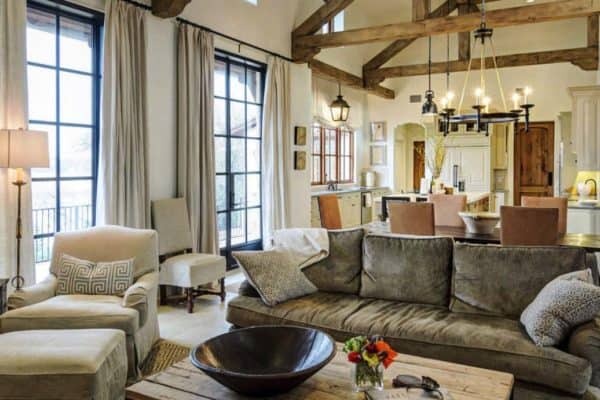 Have a look at our gallery and you will definitely be blown away by some of the unique and creative ideas you can use in your own home. 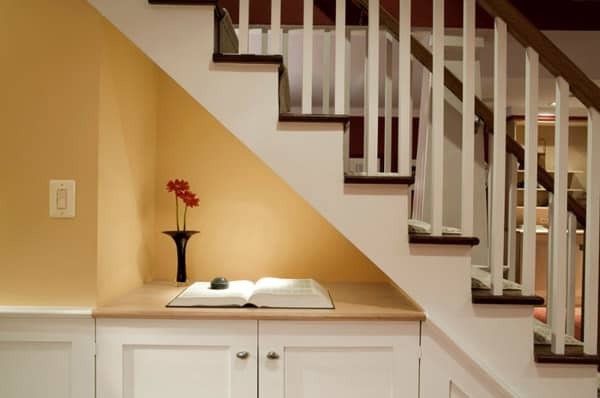 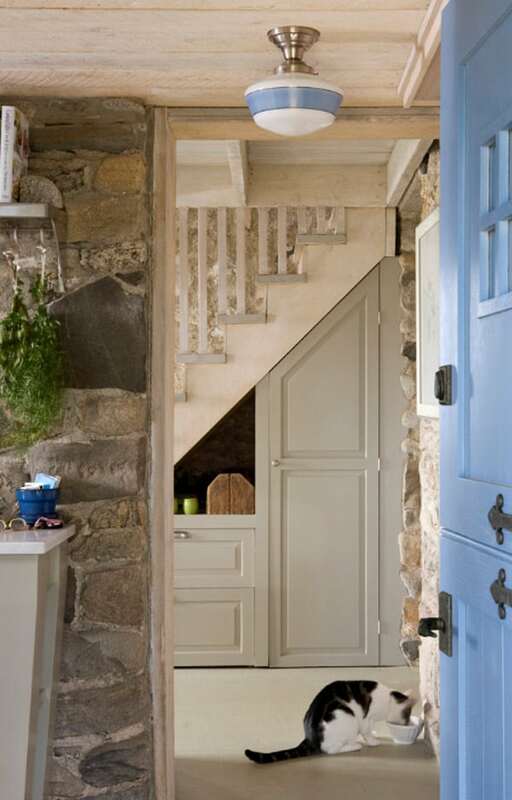 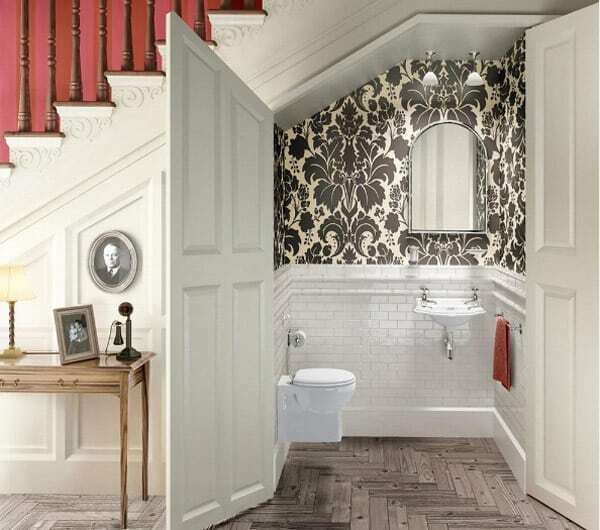 If you are seeking further under stairs storage inspiration, have a look at one of our past articles on Amazing space-saving kitchens under the stairs. 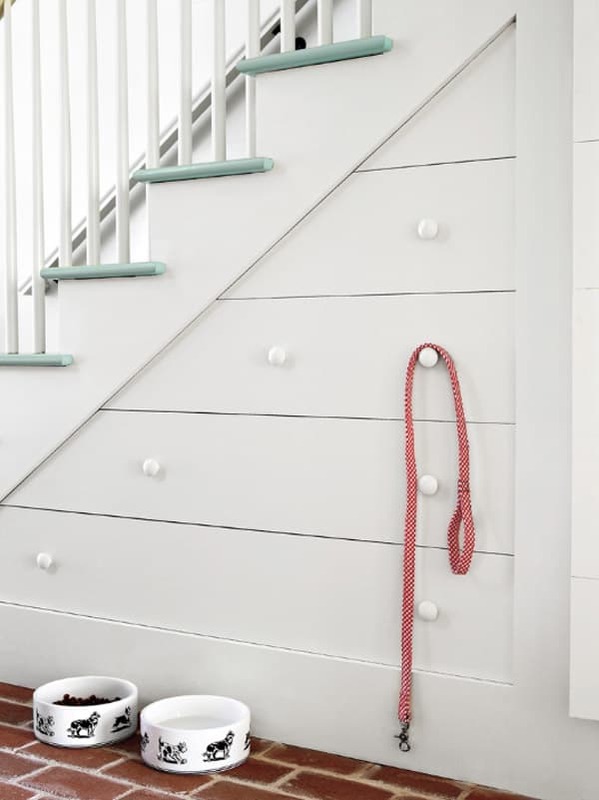 Deep drawers tucked under treads provide storage for pet supplies and other sundries. 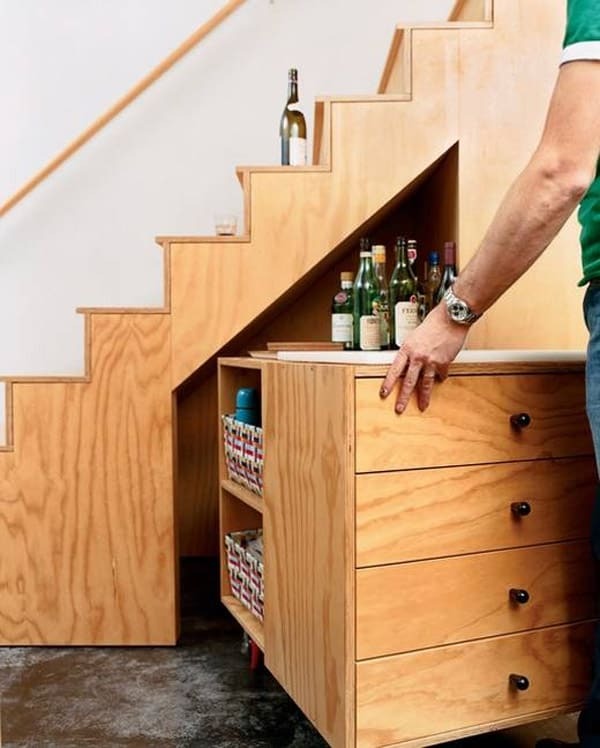 Built just like an old furniture piece, the boxes glide on wood guides and are faced with angled fronts that fool the eye. 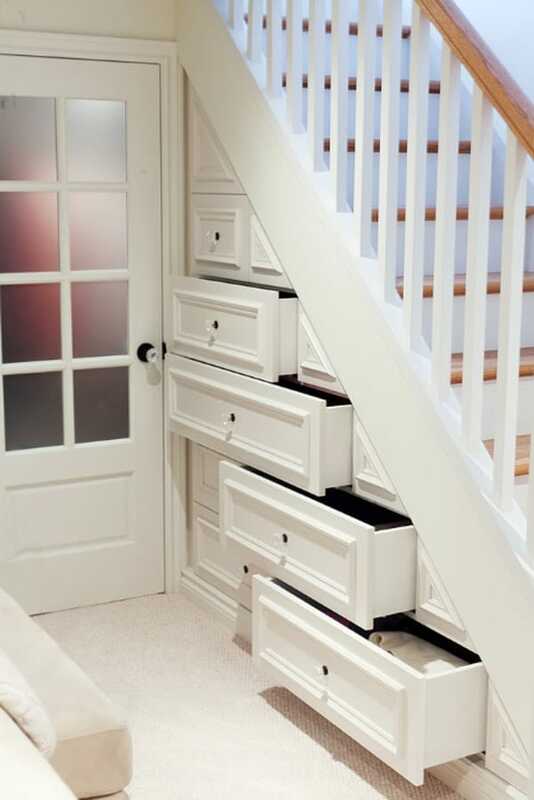 Full-size closets can often be squeezed beneath straight-run staircases if there isn’t another staircase beneath it. 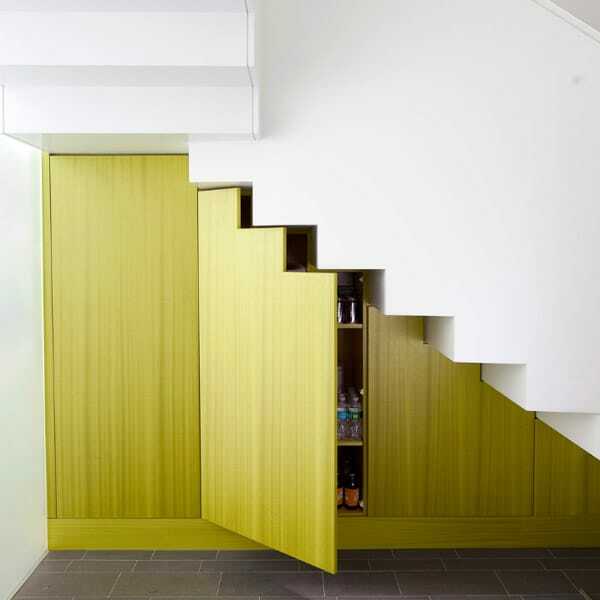 But for L-shape, or return, stairways, there isn’t enough height for a closet. 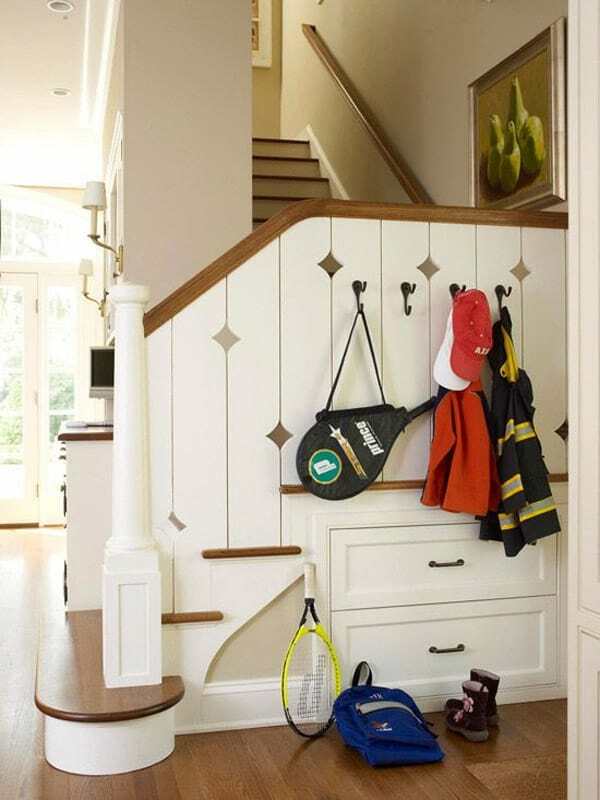 Rather than leave it unused, carve out the space beneath the landing for drawers to store sporting gear and shoes in an entryway. 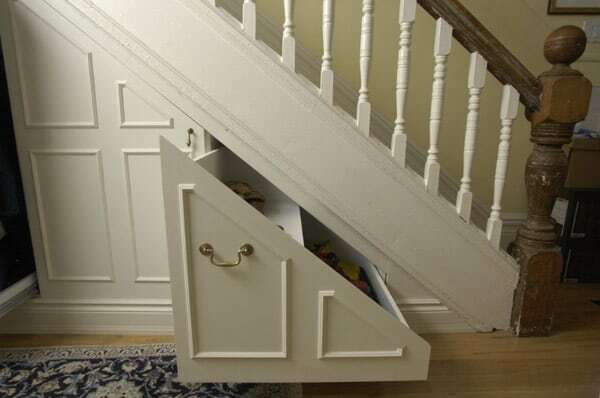 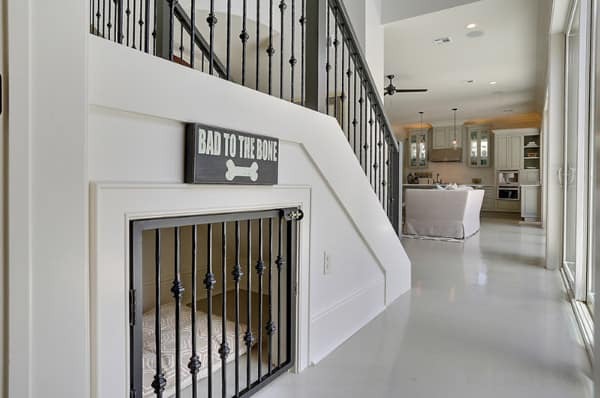 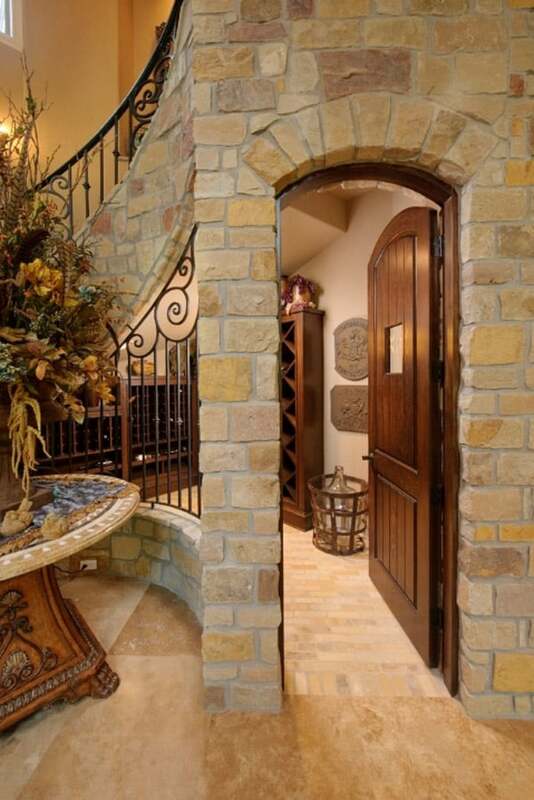 Under the staircase is a closet, which houses the cat pan and food bowl… hidden from guests and the curious dog. 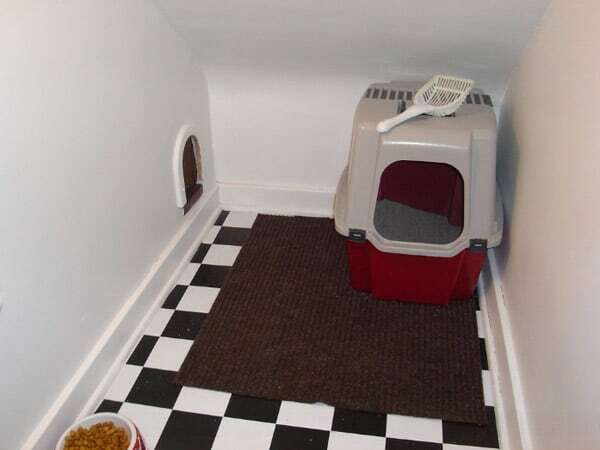 A special entrance was created for the cats to access their area. 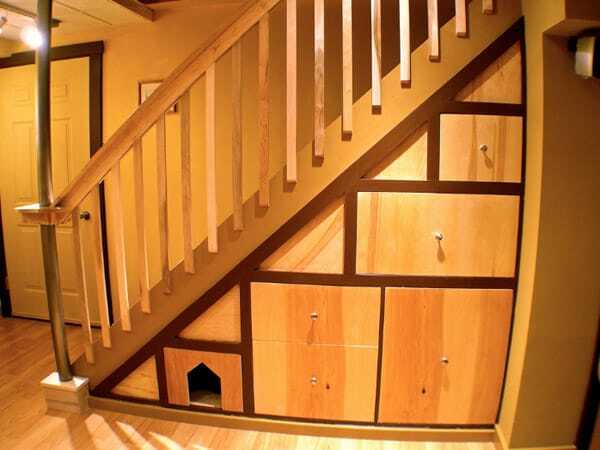 Built in drawers for storage under the stairs includes a cat litter box enclosure.